Common hair gels contain chemicals that have a long list of side effects, like Dandruff, Hair Loss, Dehydration, Discoloration and Damage. A common ingredient in gel is crospovidone (PVPP), which is found via autopsies to cause pulmonary vascular injury. Do we really want to put that in our hair? Try these simple DIY recipes for a healthier alternative. 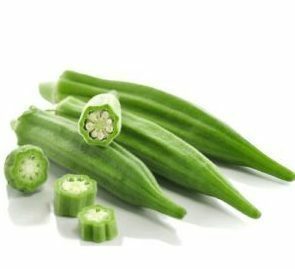 OKRA: Okra is a flowering plant in the mallow family and is rich in Vitamins A, C and K, Zinc, Copper, Calcium, Folate, Potassium, Thiamine & Protein. Okra is a demulcent (soother) of inflamed tissues. It has worked wonders, for those who eat it daily, suffering from acid reflux and other inflammatory digestive issues. Okra is known to promote hair growth, improve shine and is sticky enough to act as the perfecthair gel. Your favorite essential oil, I suggest 7 drops. I love rosemary & lavender. How to: Boil the Okra in the 2 cups of water, until it becomes slimy. Next, strain the Okra, removing all water, so that all that is left is the delicious slime. Finally, add your favorite essential oils to the Okra, leaving you with the perfect hair gel. Flax Seeds: These amazing seeds are high in Omega 3’s, which are phenomenal for promoting healthy hair growth, luster, and moisture. Flax seeds can be digested orally. Due to its’ Omega 3 content, it is helpful for diseases like arthritis, atherosclerosis, heart health and much more.The amount of phytochemical, lignin and flavonoids in flax also act as a powerful antioxidant. How to: Boil & Stir Flax in 2-cups of water until a slimy mucus drips from your spoon. Strain with a cheese cloth or stocking, as the material makes it easier to strain. Let the gel cool down. Once chilled, add the aloe gel, your favorite essential oil and a teaspoon of Argan oil. Stir until all is mixed. Use as you would any hair gel, although I suggest adding a lot more when styling your hair. Storage: Flax gel and Okra gel tend to last a few days in the fridge. Feel free to add some vitamin E, which will act as a preservative. Avoid using the mixture once it starts to smell rancid. Next articleI Feel A Tingle!